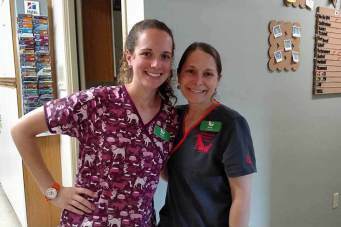 Mission Statement: Our dedicated team fulfills A legacy of excellent health care while demonstrating integrity, teamwork and compassion to make you and your pet our priority. Anthracite Animal Clinic was established in 1980 by Yvonne T. Walacavage, VMD. The practice continued to grow until Dr. Walacavage's passing in 2008. At the time of Yvonne's death Kate Harnish was studying to become a veterinarian and inherited the business from her long time friend and mentor. She had worked for Dr. Walacavage as a Vet Technician for several years, and was hoping to work with her again after finishing her schooling. Dr. Kate Harnish re-opened the clinic on September 13, 2011, which would have been Dr. Walacavage's 60th birthday. The business continues to provide veterinary care to animals in Schuylkill County and the surrounding areas. 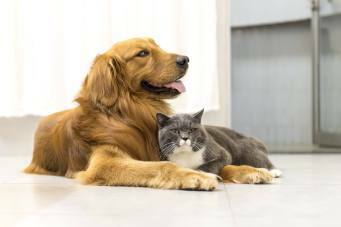 Dr. Harnish focuses mainly on the care of dogs and cats. The clinic offers boarding, grooming, and training services as well. 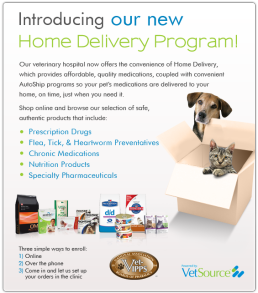 She strives to offer excellent care at an affordable price for pets in the area. We are pleased to announce our involvement in the Morris Animal Foundation Golden Retriever Study. Anthracite Animal Clinic is proud to serve Ashland, PA and the surrounding areas. Take an online virtual tour of our beautiful animal clinic. 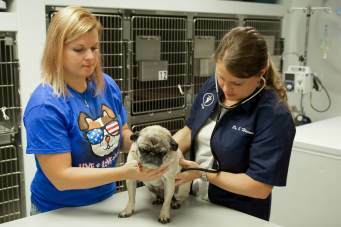 At Anthracite Animal Clinic, we offer a variety of services to care for your pet.